Description: For Sherline lathes and mills. 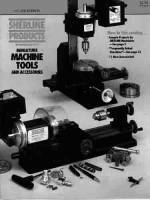 Sherline tools and accessories catalog. Description: For Sherline lathes and mills. Sherline Part #5327. 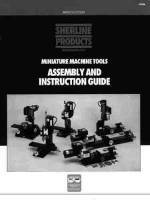 Sherline instruction manual in a 1" binder includes the instruction guide, tool and accessories catalog, and instruction sheets for all accessories. Description: For Sherline lathes and mills. Sherline Part #5326. 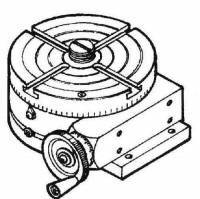 Sherline instruction guide (comes free with a lathe or mill). Description: For Sherline lathes and mills. Sherline Part #2069. 2.0mm collet. Description: For Sherline mills and mill columns. Sherline Part #3052. 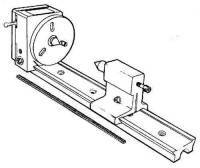 Fly cutter for machining flat surfaces such as gears. Cuts up to 2" wide. Includes carbide cutter. Description: For Sherline lathes and mills. Sherline Part #2068. 1.5mm collet. Description: For Sherline lathes. 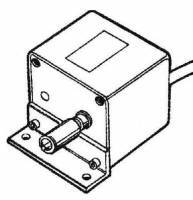 Sherline Part #3050. Vertical milling column converts your lathe into a milling machine. Includes base and vertical column. Description: For Sherline lathes. Sherline Part #3100. 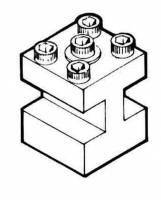 Screw cutting attachment cuts internal and external threads, American and metric, both left and right. Description: For Sherline lathes. Sherline Part #3038. Tool rest for wood turning is adjustable with 3 and 5" rests. Description: For Sherline lathes and mills. Sherline Part #2081. 8.0mm collet. Description: For Sherline lathes and mills. Sherline Part #2080. 7.5mm collet. Description: For Sherline lathes. Sherline Part #3005. 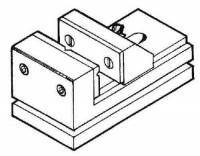 Square high speed 1/4" tool blank for customizing your own cutting tool. ** Special order** This item drop ships from manufacturer. Description: For Sherline lathes. Sherline Part #3035. Spur driver is for driving wood between centers. Description: For Sherline lathes and mills. Sherline Part #2078. 6.5mm collet. Description: For Sherline lathes and mills. Sherline Part #3400. Handwheel is oversized to quicken feed of long pieces. Description: For Sherline lathes. Sherline Part #3057. Rocker tool post lets you adjust cutters to exact center of workpiece. Description: For Sherline lathes and mills. Sherline Part #3065. Slitting saw holder holds blades with 1/2" hole. #1 Morse taper fits headstock spindle. Description: For Sherline lathes and mills. Sherline Part #2077. 6.0mm collet. Description: For Sherline lathes and mills. Sherline Part #2076. 5.5mm collet. Description: For Sherline lathes and mills. Sherline Part #2075. 5.0mm collet. Description: For Sherline lathes and mills. Sherline Part #3080. End mill set. 3 flute. 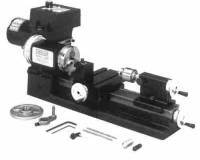 Includes 1/16', 1/8", 3/196", and 1/4" mills with a 3/16" shank. Description: For Sherline lathes. Sherline Part #3002. 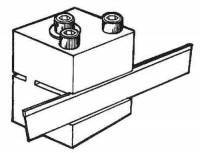 Cutoff tool and holder for clean and accurate cutoffs. Description: For Sherline lathes and mills. Sherline Part #7303. 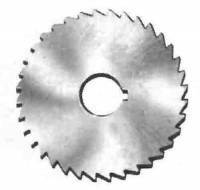 Slitting saw blade is high speed steel, 1-3/4" diameter with 1/2" center hole. .032" thick x 110 teeth. Description: For Sherline lathes and mills. Sherline Part #2074. 4.5mm collet. Description: For Sherline mills and mill columns. Sherline Part #3700. Rotary table is 4" in diameter. 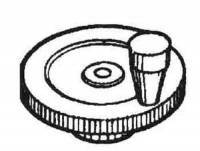 One revolution of the handwheel rotates the table 5 degrees. Description: For Sherline lathes. Sherline Part #3006. 3 piece carbide turning tool set includes left, right and thread cutting. Description: For Sherline lathes and mills. Sherline Part #2073 4.0mm collet. Description: For Sherline mills and mill columns. Sherline Part #3551. Milling vise mounts to the cross slide with hold down clamps (included). 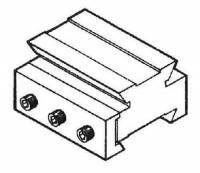 Features "V" groove for round stock. jaws are 1-1/2" wide x 1" deep. 1-1/2" capacity. Description: For Sherline lathes and mills. Sherline Part #2071. 3.0mm collet. Description: For Sherline lathes and mills. Sherline Part #2070. 2.5mm collet. Description: For Sherline mills and mill columns. Sherline Part #3200. Indexing attachment rotates stock a set number of degrees. Perfect for gear cutting. Description: For Sherline lathes and mills. Sherline Part #1270. Compound slide for cutting extreme angles. Description: For Sherline lathes and mills. Sherline Part #2064. 17/64" collet. Description: For Sherline lathes. Sherline Part #3001. Power feed feeds from right to left at 1" per minute. Description: For Sherline lathes and mills. Sherline Part #2065. 9/32" collet. Description: For Sherline lathes and mills. Sherline Part #1041 WW collet set for watchmakers includes 2mm, 3mm, 4mm, 5mm, and 6mm collets, collet adapter and draw bar. DROP SHIP FROM MANUFACTURER. Description: For Sherline lathes and mills. Sherline Part #1160. 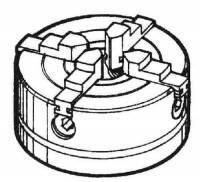 WW collet set for watchmakers includes 1/16', 1/8", 3/16", 1/4" and 5/16" collets, collet adapter and draw bar. Description: For Sherline lathes and mills. Sherline Part #2066. 19/64" collet. Description: For Sherline lathes and mills. Sherline Part #2051. 1/16" collet. Description: For Sherline lathes and mills. Sherline Part #2067. 5/16" collet. Description: For Sherline lathes. Sherline Part #3003. Two position tool post reduces setup time. Description: For Sherline lathes and mills. Sherline Part #2052. 5/64" collet. Description: For Sherline lathes. Sherline Part #1292. 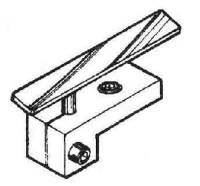 Tailstock riser for use with headstock riser only. DROP SHIP FROM SUPPLIER. Description: For Sherline lathes and mills. Sherline Part #2053. 3/32" collet. Description: For Sherline lathes and mills. Sherline Part #2079. 7.0mm collet. Description: For Sherline lathes and mills. Sherline Part #2054. 7/64" collet. Description: For Sherline lathes and mills. Sherline Part #2055. 1/8" collet. Description: For Sherline lathes and mills. Sherline Part #2056. 9/64" collet. Description: For Sherline lathes. Sherline Part #3004. Knurling tool creates a diamond pattern knurl. Description: For Sherline lathes and mills. Sherline Part #7301. Slitting saw blade is high speed steel, 1-3/4" diameter with 1/2" center hole. .010" thick x 140 teeth. Description: For Sherline lathes and mills. Sherline Part #2057. 5/32" collet. 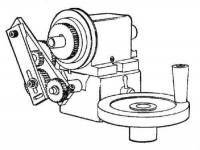 Description: For Sherline lathes and mills. Sherline Part #1044. 4-jaw chuck is for turning square or irregular stock. 3" capacity. Description: For Sherline lathes. Sherline Part #1291. 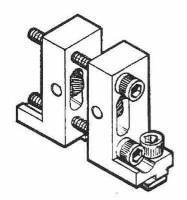 Headstock riser set raises headstock 1-1/4" to increase lathe capacity to 5" diameter. DROP SHIP FROM MANUFACTURER.